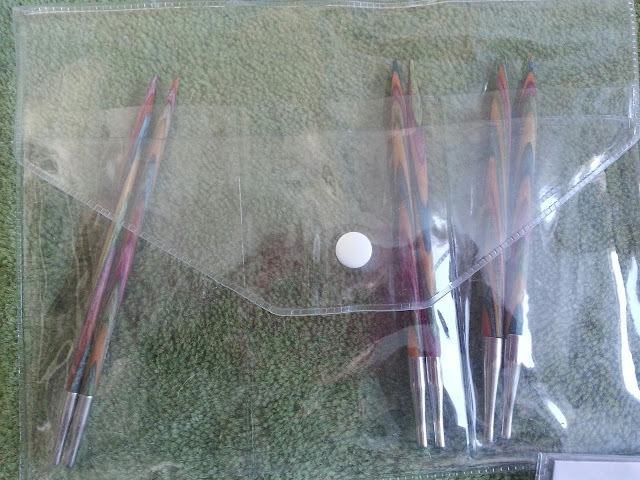 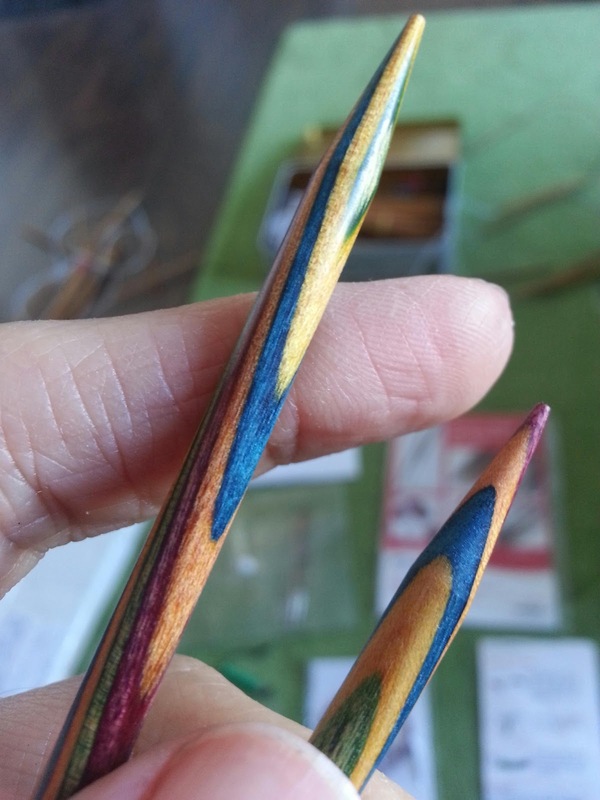 I've wanted some of these gorgeous wooden multi-coloured needles since I first laid eyes on them! 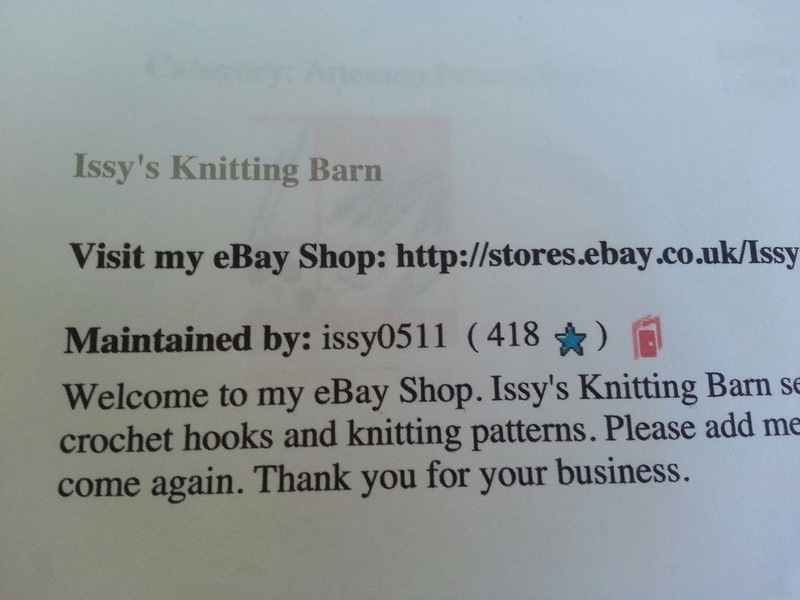 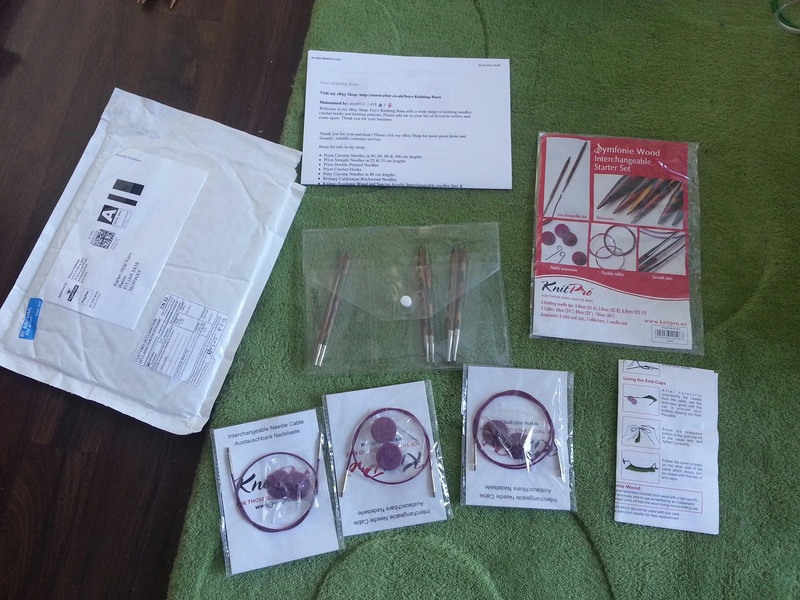 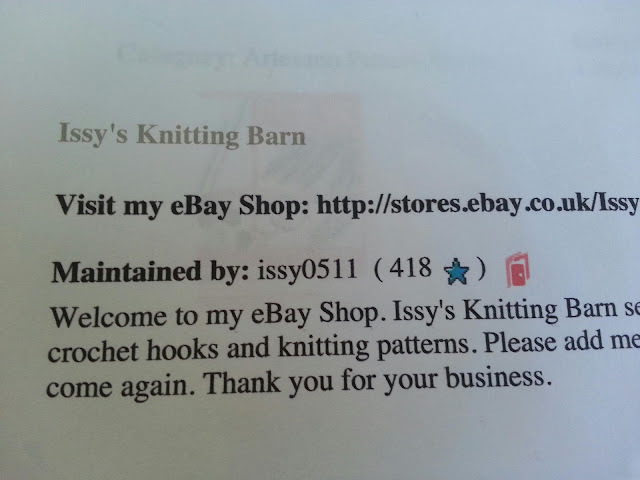 I finally gave in and bought myself this starter set online from Issy's Knitting Barn. 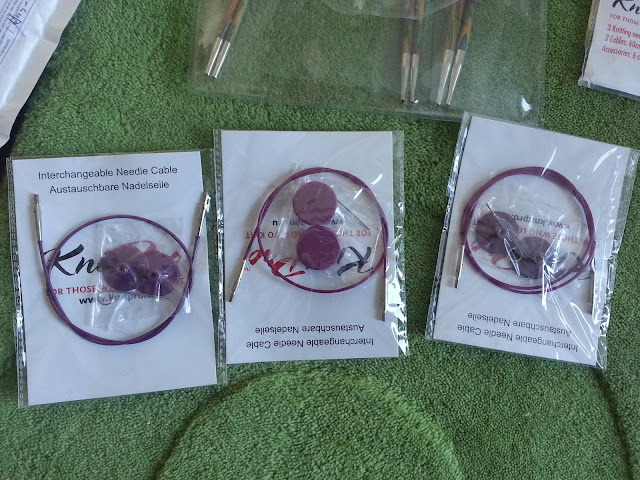 three sets of needles, 4mm, 5mm and 6mm, and three cables 60cm, 80cm and 100cm. 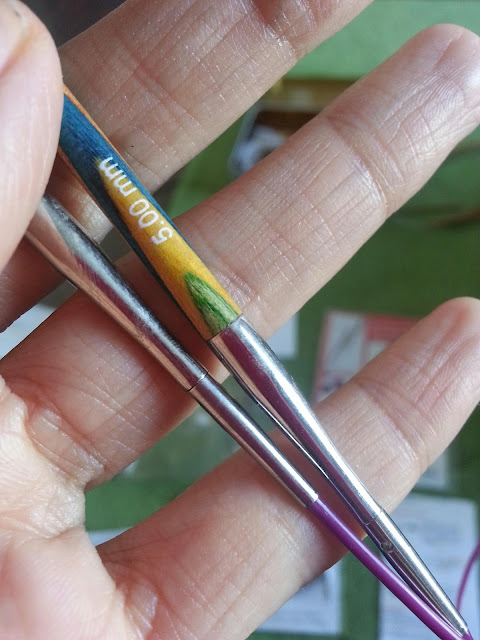 The tips are super pointy and the surface super smooth! 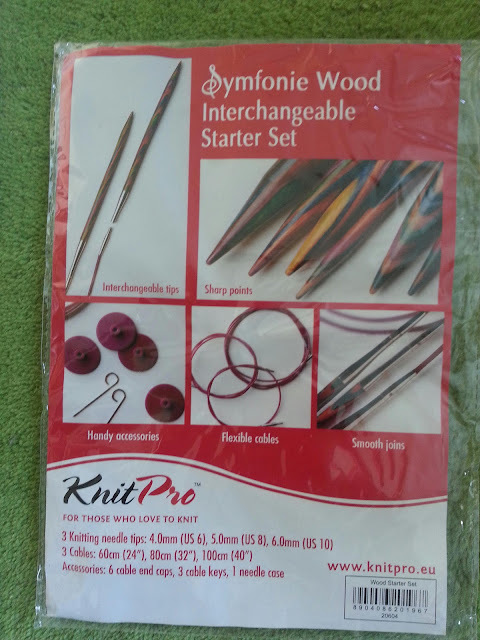 although you do need to tighten them well otherwise they come undone while you're knitting.